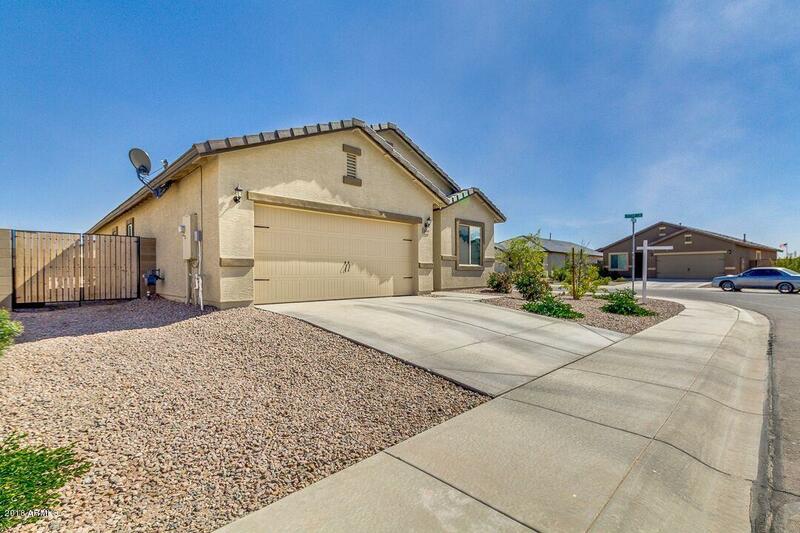 LANDSCAPED BACKYARD** New garage door opener installed and carpets recently cleaned! 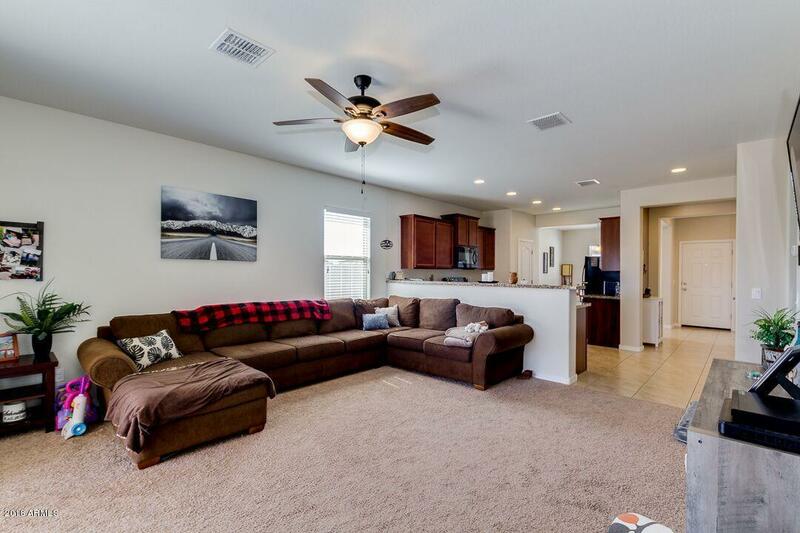 Beautiful 3 bedroom home built in 2016 sits on a corner lot not far from the park. 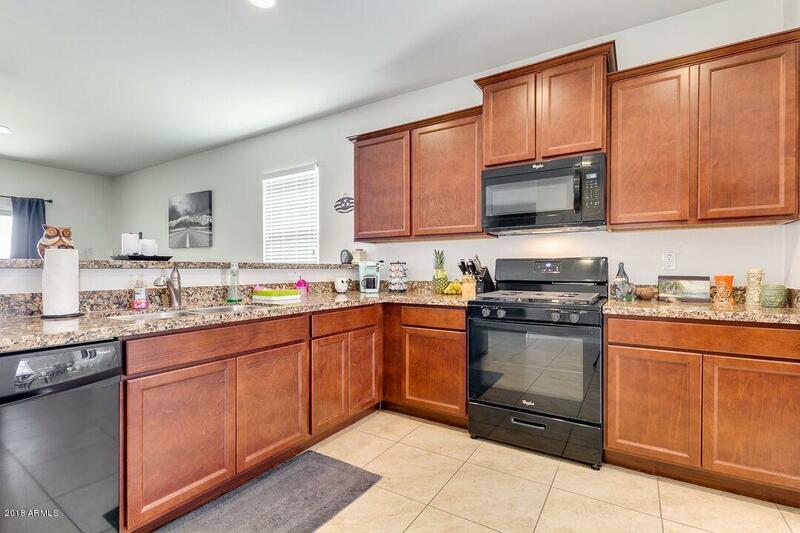 It features 3 bedrooms,a big kitchen with granite counters, staggered cabinetry and a perfect sized dining area. $10,000 in builder upgrades throughout. RV Gate, low energy, both gas and electric to home, OPEN floor plan. Back yard finished with a huge grassy area, gravel edging and several palm trees ready to grow. 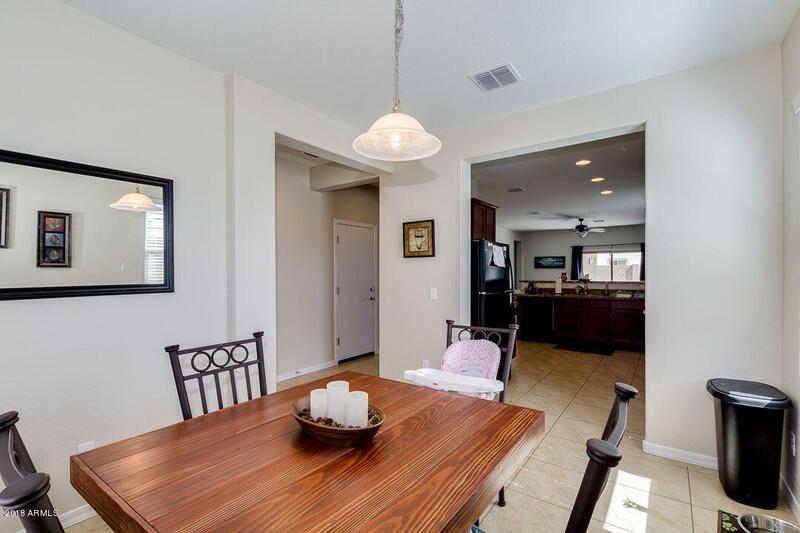 Great room is big enough to accommodate dining if you choose to use dining as a den. PRIDE OF OWNERSHIP! Don't miss out on this wonderful home. Sellers highly motivated and ready for your offer! Make an appointment today!